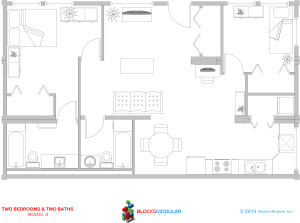 Excellent for young families and professionals, this two bedroom/bathroom model offers all the amenities found in traditional buildings. Category: Two Bedrooms & Two Bathrooms. This module is an excellent choice when creating projects for small families, university student accommodations or similar endeavors. 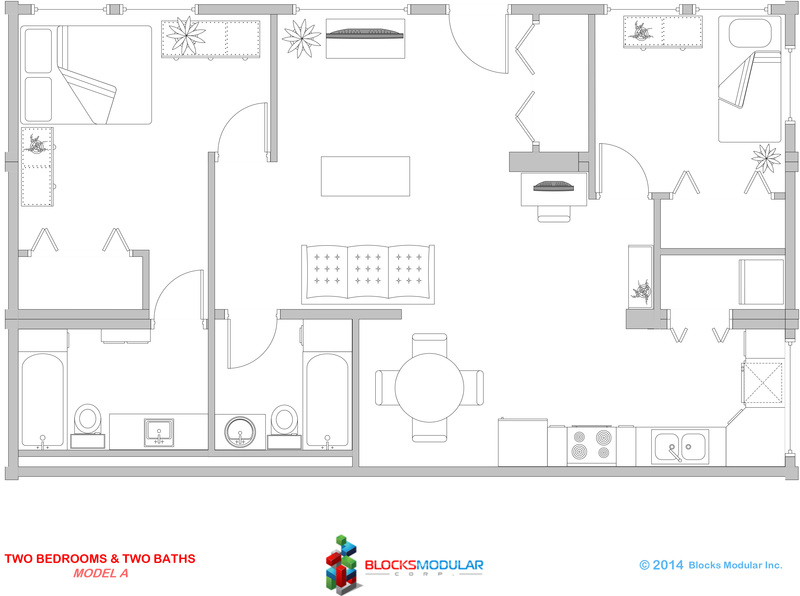 Ideal for roommates, the two bathroom division allows for additional privacy and comfort.